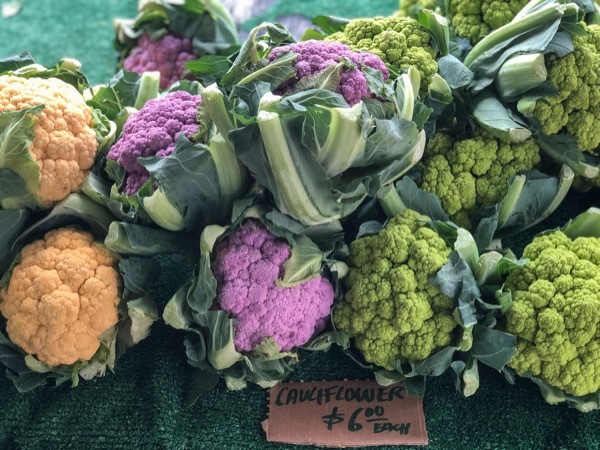 One of the many perks of southern California is that the farmers markets run almost all year. Wednesday morning I wake up and head down the hill to the one in Palm Desert. There I pick up a bag of some of the best avocados in the world, a jug of just picked-just squeezed orange juice, an armful of wild flowers, and whatever vegetables catch my fancy. 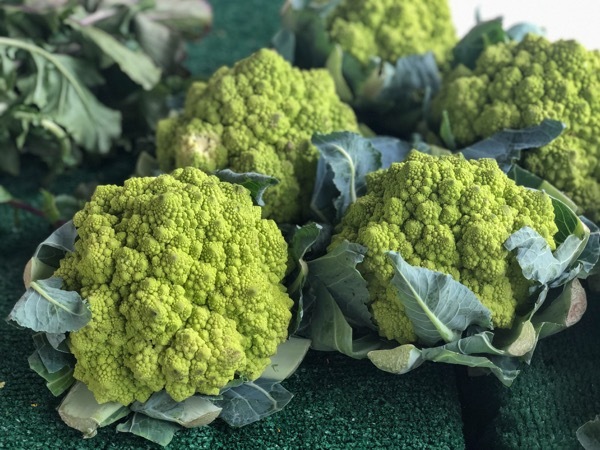 Just last week romanesco began to grace the purveyors’ tables. 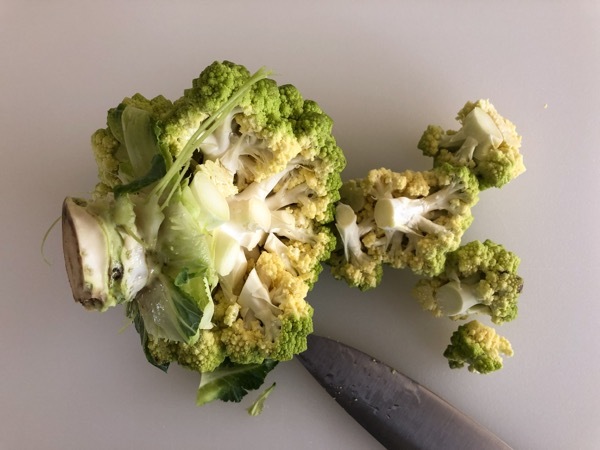 These edible buds from the broccoli family look like tiny trees that one might find in Narnia. 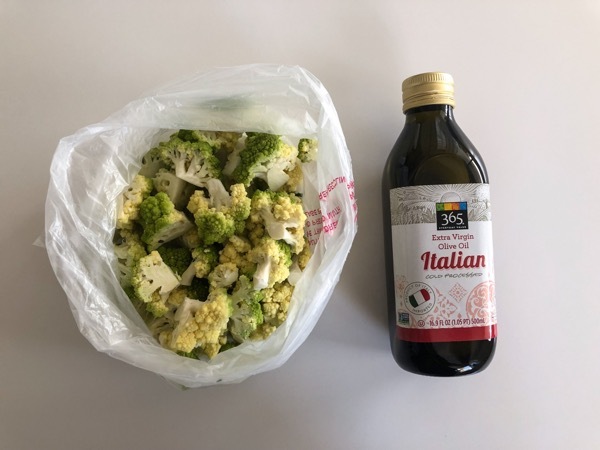 What separates romanesco from cauliflower and broccoli is its tender crunchy texture. 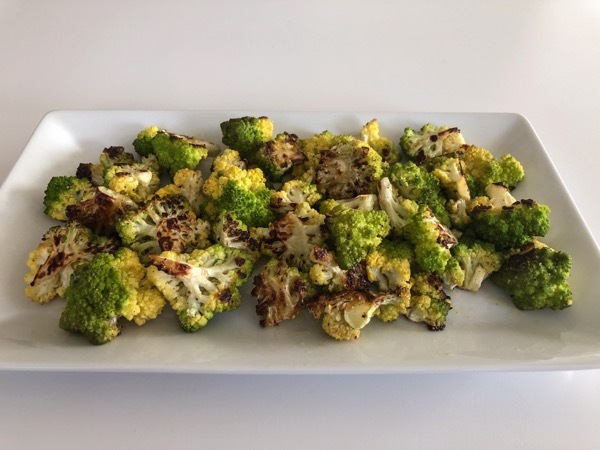 Blanched it makes a great crudité, it’s excellent steamed or sautéed, or try my favorite- roasted romanesco. 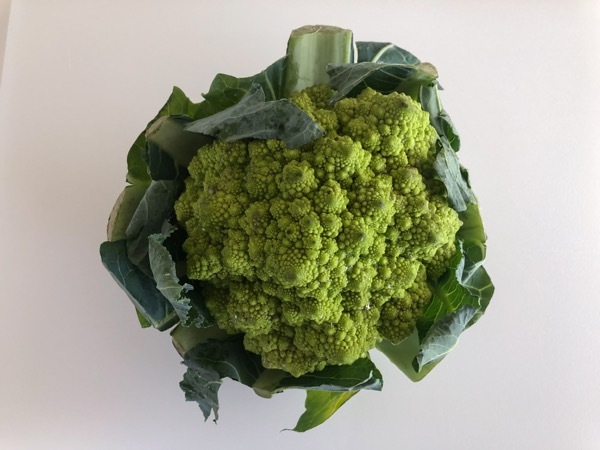 Start with a head romanesco. 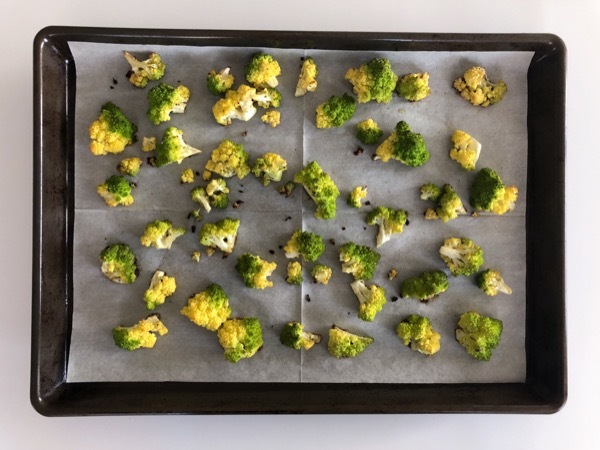 Cut the romanesco into bite-sized florets. Toss with olive oil to lightly coat along with a generous pinch of kosher salt and freshly ground pepper. 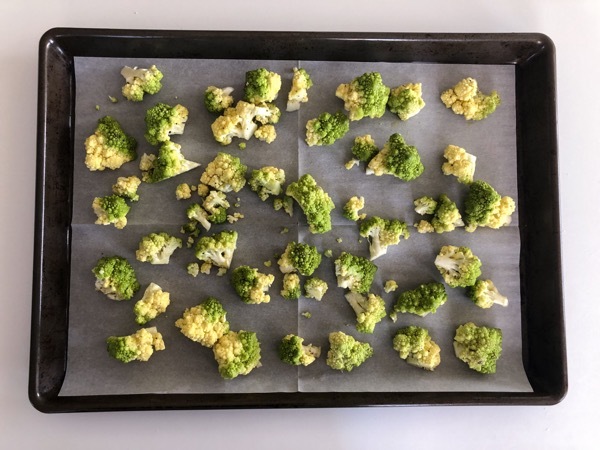 Scatter onto a rimmed baking sheet covered with parchment paper. Make sure there is ample space between the florets, otherwise it will steam and not roast. Roast in a preheated 425-degree oven for 15 minutes, or until the florets begin to char in places. You can roast ahead of time. Simply remove from the oven and leave at room temperature for an hour or so, then reheat in a 400 degree oven for 5 minutes or until warmed through. After one bite I’m sure these will move to the head of your class too.